*Blog Calendar: Keeping track of upcoming blog tours, features, interviews and other blog events. *Review Books spreadsheet: A list of review books by month and whether we both have a copy, if they're e-books, and when they are due for publication. 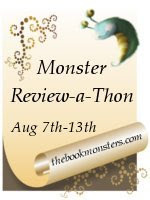 *Review Guide: We use this each month to decide which books we want to try to get reviewed (mostly that are pubbed that month) and if we've read them, whether we both are going to read them and do a double review, etc. Today, your mini-challenge is to work on organizing your upcoming reviews of books you haven't read. Create an organizer... update... reorganize. The choice is yours. We'd like to see what you do to organize and how you think you'd improve it. Kate and I will be working on updating our documents to coincide with what our future plans on reviewing-wise.. I used to be organized. I had a 3-ring binder and every review book had it's own page. There was an excel spreadsheet with challenges each book would work for as well as important dates and the order the books arrived. 3. a shelf where all the print books go. I do have a "plan" for next year which I'm going to work on once I get a couple of specific books read/reviewed. 5. a book from 2012. I do not believe this plan will last into the new year before it is changed. I really want to be more specific but I'm a mood reader. I'm already thinking that if I force myself to read specific books, in a specific order I can read more just for fun. You know I will anyways, there are too many new books coming out and my TBR pile is growing! update: I seem to lose papers so I'm going to have to do this electronically. Every title will have an empty folder. Inside the "MAIN" folder will be more empty folders named with pieces of information, author, format, received, where from. I'd better add a reviewed on & date folder. Sounds like your on the way to being very organized. I know what you mean about mood reading. I know I should focus on review books, but then there's new books coming out in series I love that I want to catch up on as well.